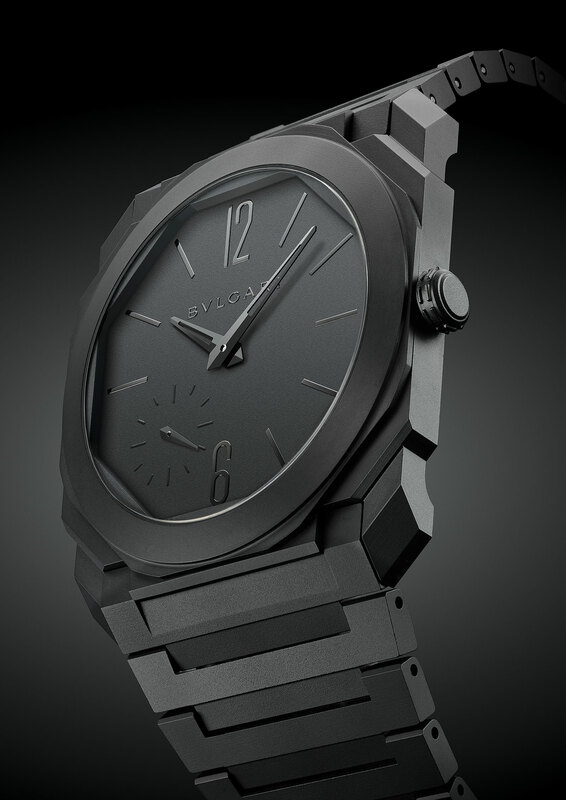 Bulgari’s ultra-thin Octo Finissimo is now available in matte black ceramic, in both time-only and skeleton versions, giving the well regarded wristwatch a sleek new look. 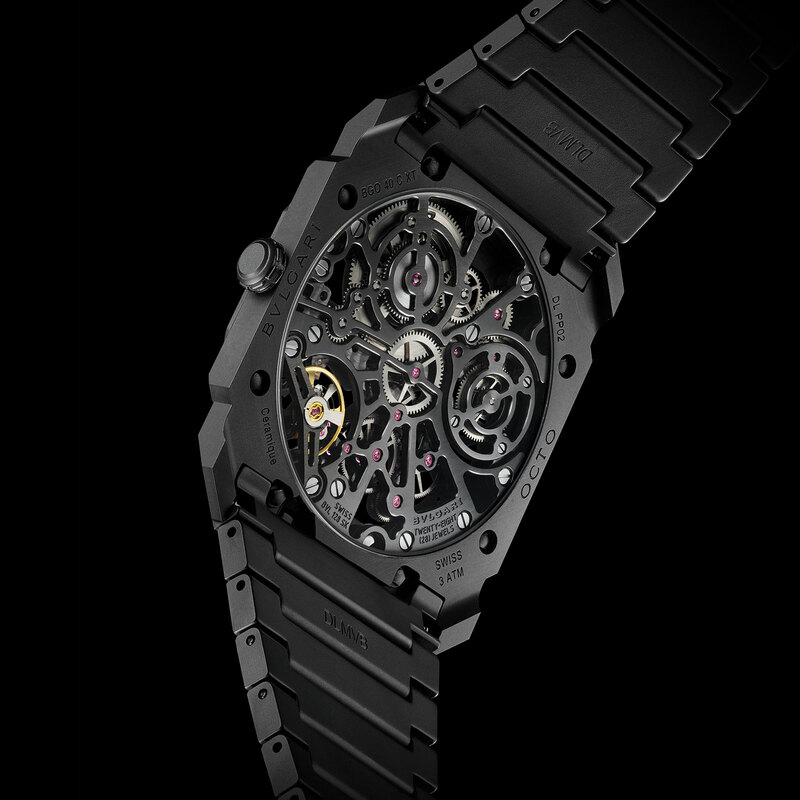 The two additions to the line join the Octo Finissimo Chronograph GMT that was also just unveiled at Baselworld 2019. 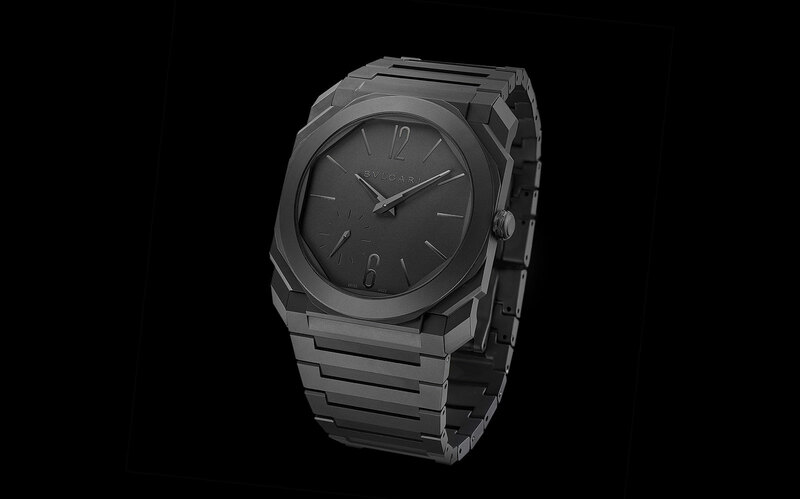 Both watch share the same fundamental features: a case and bracelet in smooth, sandblasted black ceramic. Notably, both also have a ceramic folding clasp that is recessed into the reverse of the bracelet, instead of the usual metal alloy clasp found on most ceramic bracelets. The pair are both 5.5mm high, despite using slightly different movements. 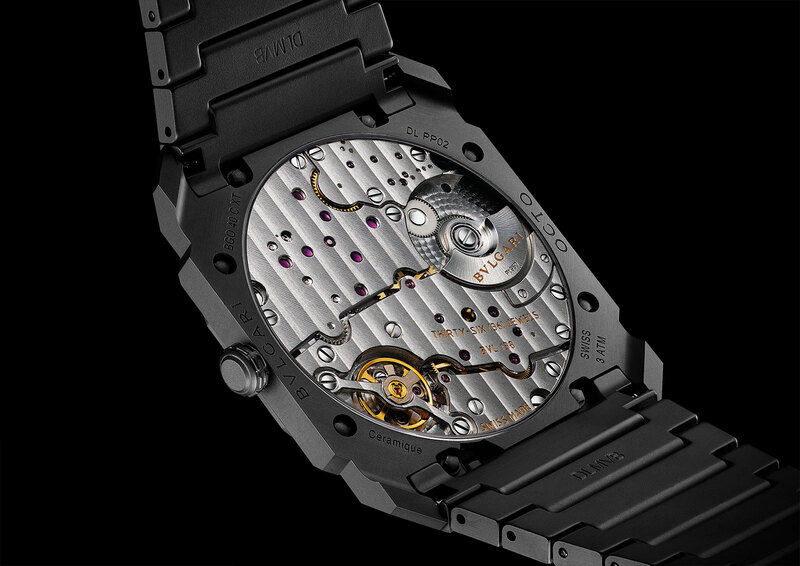 The Octo Finissimo Automatic Ceramic is powered by the BVL 138 movement, a self-winding calibre just 2.23mm high. 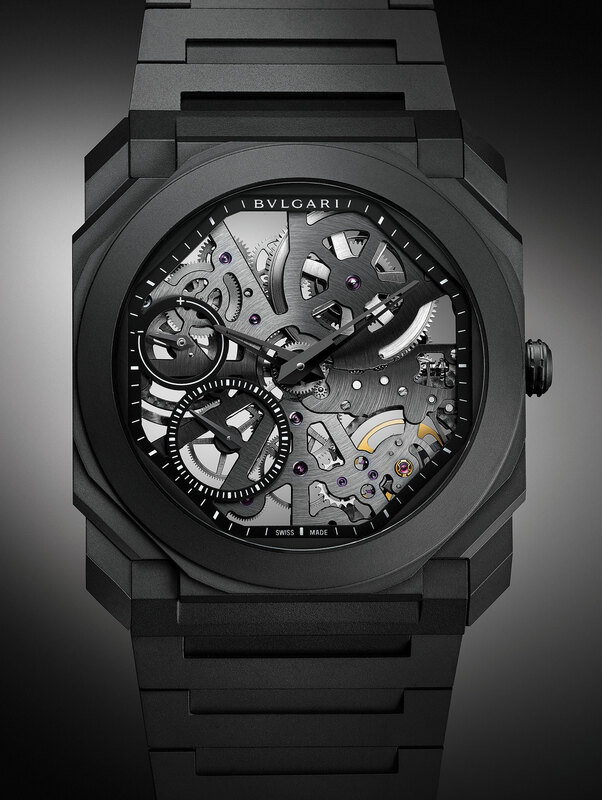 It has a platinum micro-rotor and 60-hour power reserve. All the bridges are finished in silvery rhodium-plating. Case material aside, it is essentially identical to the titanium and gold versions of the same watch. 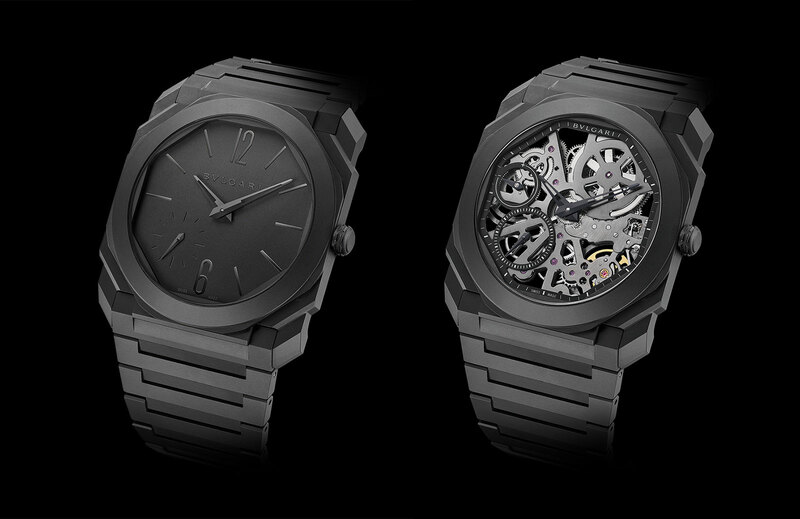 The Octo Finissimo Skeleton Ceramic, on the other hand, is equipped with the BVL 128SK movement. It’s derived from the automatic above, but is instead manually wound, and also has the addition of a power reserve display at nine o’clock. The open-worked base plate is finished with circular brushing on the front, while the bridges on the back are sandblasted for a frosted finish. Both have a dark grey plating. Prices for both the Octo Finissimo Automatic Ceramic (ref. 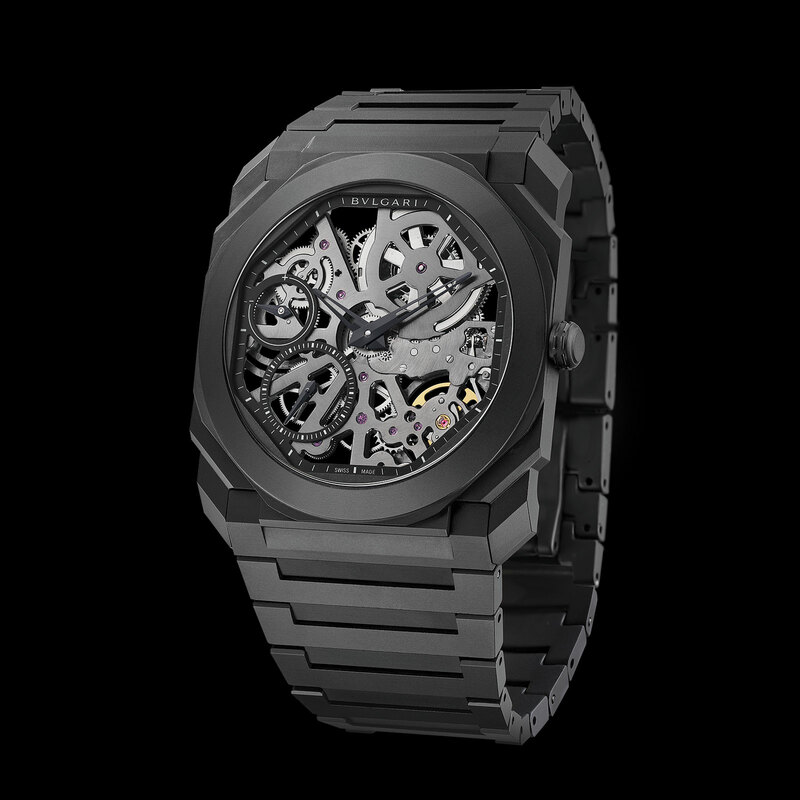 103077) is priced at US$15,600, and the Octo Finissimo Skeleton Ceramic (ref. 103126) is US$24,700. Update March 22, 2019: Prices included.